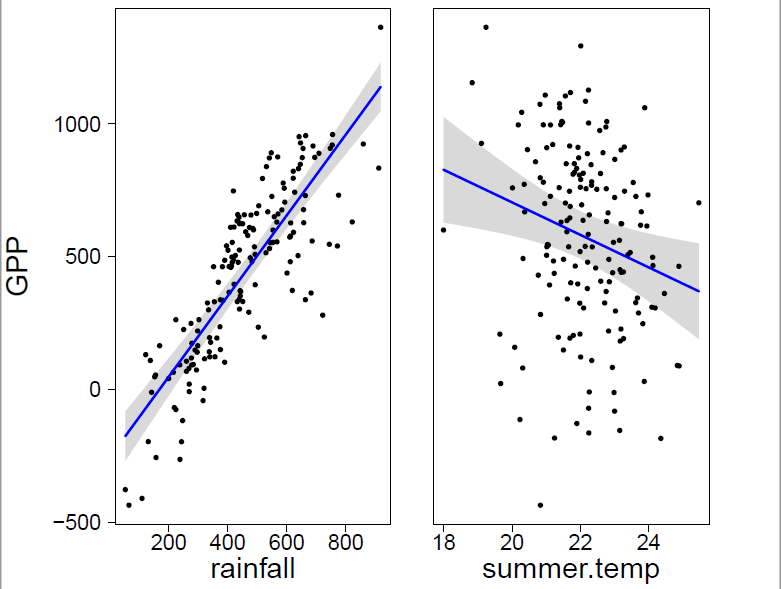 As seen from the partial relationship plots below, the linear model for parcel.size and summer.temp is not entirely appropriate and does not capture the pattern in the data very well. I want to know how I can capture the these non-linear relationships (i.e. 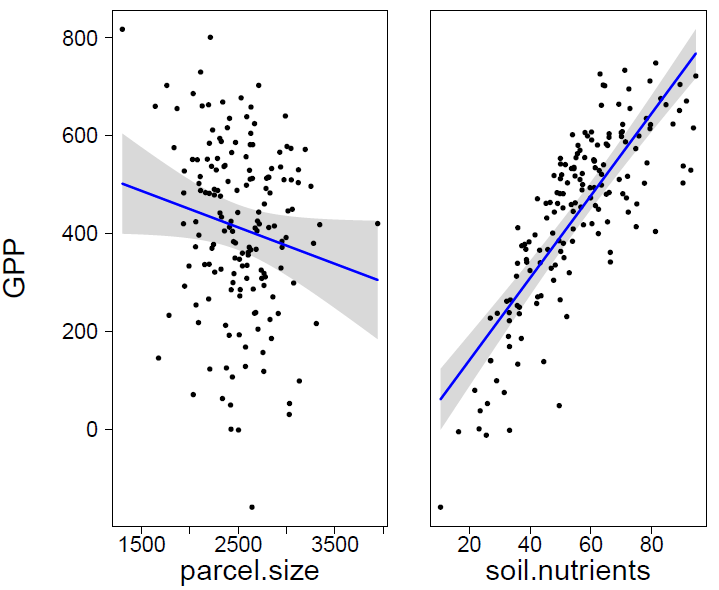 parcel.size and summer.temp) better (while still using a linear model [lm] if possible). I've tried polynomial regression for these explanatory variables as well as log transforming the response (GPP). Both methods does not work. Removing outliers / influential points from the data is not allowed. Any advice would be appreciated! I am not sure if these relationships are non-linear. Generalized additive models (GAM) are a flexible semi parametric tool which have similar assumptions of a lm. Take a look on mgcv package. GAM are at least useful to explore your data. Not the answer you're looking for? Browse other questions tagged r regression multiple-regression nonlinear-regression or ask your own question. How can I test a nonlinear vs a linear regression model? How to interpret Tukey-post hoc results for two explanatory variables in a multiple model?